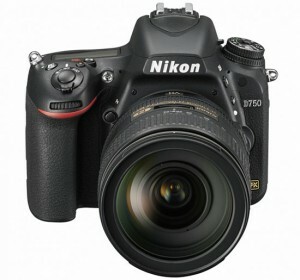 More views of the new Nikon D750 have been posted. We can see the tilting LCD in action and a close look at the buttons. The camera has a very familiar layout to those familiar with the D610. 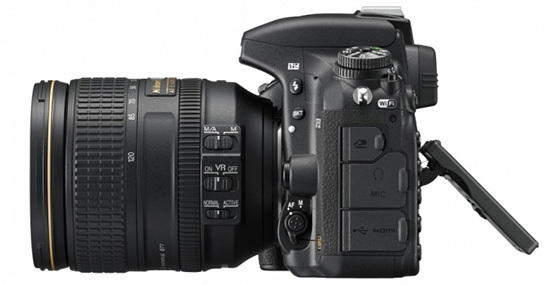 Compared with that camera, the Info button the D750 has moved above the direction pad. 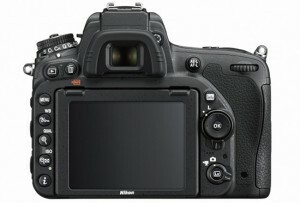 The left side buttons are more like the Nikon Df and D7100. From top to bottom of the left of the D750 LCD we have menu, help/lock, zoom in, zoom out, and secondary info button. Holding these buttons toggle white balance, image size/quality and ISO. This is a similar arrangement to the consumer camera and not like the professional cameras D810 and D4s. The D750 side view shows the doors that cover the remote port (again, the consumer version of remote and no the professional 10-pin and flash syns ports), stereo headphone and mic inputs, and USB and HDMI output connectors. We see that the D750 has built-in WiFi as indicated by a WiFi wireless logo on the side. The tilting LCD is double hinged and can tint both up and down. It does not appear to be able to be reversed (as the D5300) or fold away from the body to face forward. When not tilted it is recessed into the body so it does not protrude. The side also reveals the D750 manual/auto focus lever proving that the camera has a built-in focus motor. Dedicated bracket button and flash button are on the side of the body toward the lens. The front view of the D750 camera shows the focus illumination light. We can just see the top function button next to the lens mount, there is likely a bottom one to match to adjust aperture smoothly during live view video recording, provide depth of field preview, and other functions. A locking mode dial sits on the right, with preset U1 and U2 modes as found on the D610 and D7100. Those familiar with those cameras will be right at home on the D750. Professionals may find this camera to be rather different. The dial hass P, S, A, M, scene modes as well. The secondary dial sets the shutter release mode, S, CL, CH, remote, timer, quiet release, and quiet continuous as found on the D610 and D810. There is a diopter adjustment on the viewfinder. The D750 viewfinder has a rectangular eyecup design. The front also shows an infrared port for wireless remote control. We also see two holes, one on each side of the lens, that act as the built-in stereo mic. On top next to the shutter release are metering mode (which includes the new highlight weighted exposure feature), a dedicated video recording button, and another button for EV compensation. The official announcement is just moments away. 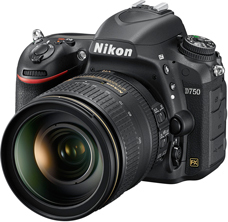 Soon after, you will be able to pre-order the new Nikon D750 from select retailers. These links will be posted as soon as the camera is officially available for ordering.